A journalist attached to an online news medium, Elombah.com, Mr Fejiro Oliver has been declared missing. This is to alert the human rights community, security agencies, the media, civil society organizations and the general public of the sudden disappearance of a dreaded investigative online journalist, public affairs commentator and activist Mr Fejiro Oliver who until recently was the Editor of Secrets Reporters and an investigative reporter with online news medium, Elombah.com. He was recently hired by the emerging online news medium- Daily Voice NG as a Managing Editor. Mr Fejiro was last heard of yesterday Friday 19th September, 2014 while he was in Abuja to honour an appointment at the instance of the Secretary to the Niger State Government, Alhaji Saidu Idris Ndako. Mr Fejiro had carried-out extensive investigation into the activities of the Niger State Government under the Governor Babangida Aliyu dispensation. After his investigation, he formally sought the response of the Niger State Government by contacting the Secretary to the State Government, Alhaji Saidu Idris Ndako Kpaki and the Chief Press Secretary to the Niger State Governor, Mr Israel A. Ebije. Instead of responding to the issues pertaining to the allege corrupt practices of governor Babangida Aliyu, the CPS, Mr Ebije in an electronic mail he sent to Fejiro Oliver threatened and warned him to desist from going public with the report (the outcome of his investigations). In an editorial by Daily Voice NG few days ago, the security agencies and the general public were alerted of the threat to the life of Mr FejiroOliver by the Niger State Government through the Chief Press Secretary to the Niger State Governor. 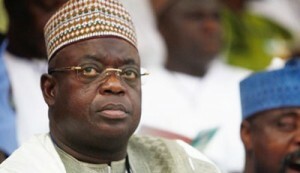 Sequel to this state of affairs, the SSG of Niger State had scheduled an appointment with Mr Fejiro in Abuja. As at the last time contacts were made with him, he was in Abuja for the sole purpose of meeting with the SSG. Subsequently calls to all his known GSM lines last night proved abortive. His lines were either not reachable, switched off or busy. Up to this time, efforts to get in contact with Mr Oliver has not yielded fruitful results. We have reasons to believe that his incommunicado state or sudden disappearance has everything to do with his scheduled meeting with the Secretary to the Niger State Government, Alhaji Saidu Idris Ndako Kpaki. We are therefore assuming based on the above facts that the SSG is in the know about Mr Fejiro‘s where about. Our apprehension has been further worsen by the strange fact that Mr Fejiro Oliver has not posted any update(s) on his ever active Facebook Timeline and Twitter handle today. We have not been able to establish contacts with his family, especially his lovely wife. We are therefore constrain to issue this interim public statement while also taking further steps on this matter. Let it be known that Mr Fejiro Oliver is not alone. Any attack on his person or life will be treated as an attack on his constituency; the human rights community and the media. Fejiro, whose last report titled ‘Jonathan Packs His Friends, Charlatans for National Honours’ was said to have travelled to Abuja on the invitation of the Niger State government, but became incommunicado as soon as he arrived the FCT. Sources privy to Mr. Oliver’s visit to Abuja said he was invited by the Secretary to the Niger State government, Alhaji Said Kpaki after he published two reports exposing some fraudulent activities of the Niger State governor, Mu’azu Babangida Aliyu. Mr. Oliver had on September 15 published a report stating that the Niger State government threatened him over the investigative report exposing monumental corruption in the state. From the report, it was obvious that he had an exchange with the Niger State government apparently to hear their own side of the story he was preparing to publish, but when it became obvious that the state government were not forthcoming with their own side of the story, he published the report on September 18. It was after the main report was published that the state government through the Mr. Kpaki decided to invite the journalist to Abuja under the pretext of presenting their own side of the story. According to our source, Mr. Oliver had arrived Abuja at about 5pm on Friday September 19 and immediately called the SSG to notify him of his arrival. He had made arrangement with a close friend residing in Abuja to pick him up at the airport, from where he will meet up with Mr. Kpaki, but the friend was to pick him up at the airport said about 30 minutes after he spoke with him, Mr. Oliver no longer answered calls. The friend who does not want to be named at this point in time said at some point, the number will be unavailable, but each time it is available, it rings out with nobody answering from the other end. Sometimes, the call is even rejected, the friend said. See also: EDITORIAL: Threat to life and divulging official documents; SSS should arrest Niger State CPS, Ebije now! When we tried to call the number provided as that of Mr. Oliver, same was observed. it is either switched off or the call rejected. It is believed that he may have been arrested by security agents on the orders of the Niger State government, upon his arrival at the Abuja airport from where he informed State SSG, Mr Kpaki of his arrival. Efforts to reach the Mr. Kpaki has not yielded fruit. Text message sent to his phone since Saturday afternoon has not been replied. However, Abusidiqu learnt that Mr. Kpaki admitted to an inquiry by another journalist that they know Mr. Oliver. Although he didn’t say categorically if they have him in their custody, he told the reporter that Mr. Oliver has been publishing negative reports against the government of Niger State to tarnish the image of the governor.